Discussion in 'News & Rumours' started by Pear, Mar 18, 2019. On one sad note, Screamscape was also able to confirm that the park’s Mountain Slidewinders attraction had been officially “retired" after 32 years of service. Nothing has been done to it yet, but the entrance to the ride area has now been closed with the addition of a new fence. Now as you can see below this frees up a lot of land with varying terrain. Perhaps we could see a major new coaster coming soon. I'm a bit bummed about slidewinder closing it was a very fun ride, but seeing as how it never operated for the whole season and how much it frees up for future expansion, I can see why the decision was made. At least they still have their log flume as well! toofpikk and Matt N like this. I'm sad to see it go because it was at the top of my non-coaster want to ride list as it seemed fun and unique. that said I do understand why it's being retired. I'll be interested to see if and what the plot of land gets used for. I've been thinking this since November, when the Mountain Slidewinder website page at Dollywood disappeared! Some other people just brushed my findings off as since Mountain Slidewinder would be down until the summer when the water rides open at Dollywood. At ACE Winter Warm-Up, Mr. Owens was talking about how they were deciding Mountain Slidewinder to be retired or not - guess we found that out sooner than I expected. He said it would be down all season due to the construction crews being redirected to Wildwood Grove. A nice shiny MACK multilaunch would fit on that hill - or if I'm dreaming, a hyper. Got to ride this a few times - it was a fun novelty that could really pack some speed if you rode towards the upper end of the weight limit. Can appreciate the ride meeting it's end, as it is a far more dated attraction versus newer rides and tech the park can install as overlap with the footprint. 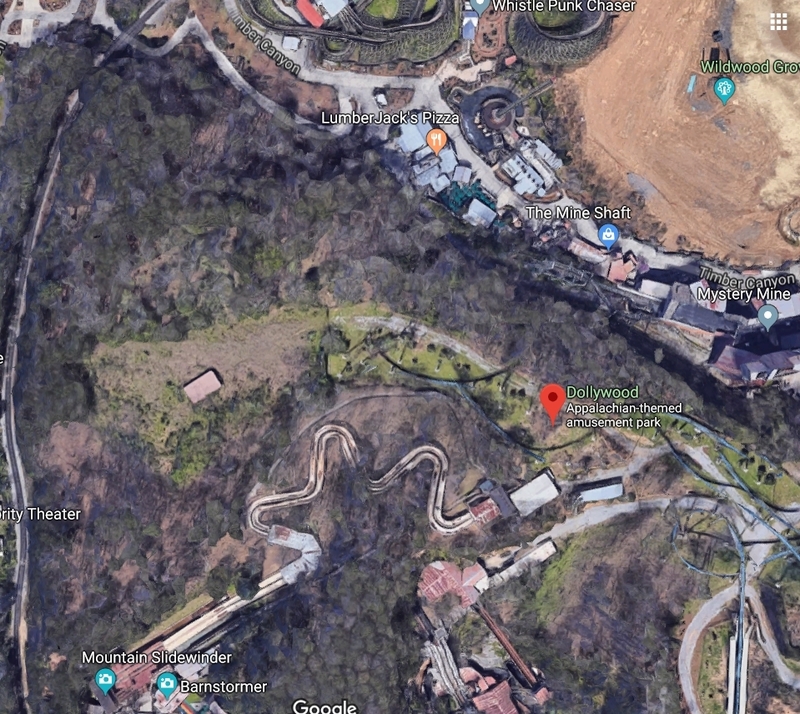 Always a shame to lose a classic attraction, but the site looks massive; I could definitely see potential in a new coaster utilising that land, although I was under the impression that Dollywood's next coaster was likely to use the leftover expansion land near Wildwood Grove. How does Mountain Slidewinder's area size compare to that of some of the Dollywood coasters, out of interest? Both Lightning Rod and Wild Eagle are quite a bit larger, but you could easily fit Mystery Mine or Firechaser into the plot, plus there's a load of land behind the theater which could be utilised for something larger, Thunderhead would just about fit into the larger space for example. 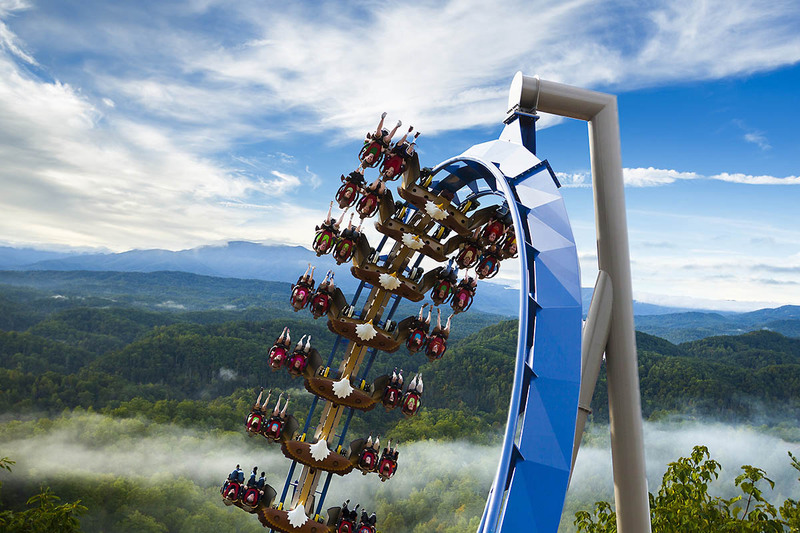 When we spoke to Pete Owens at Dollywood on the live back in 2016 (he's a proper coaster goon, and a lovely, lovely guy by the way) he said he always wanted to see a B&M hyper like Fury pick up the original design aspirations of Tennessee Tornado with a huge out-and-back design up/down the valley. The Sidewinder plot would make a good location for the station or final turnaround. Won't happen, but we can dream. Matt N, Snoo, Kw6sTheater and 2 others like this. Zek_Teh_Kek, DelPiero and Aaron Smith like this. How did I not know this existed when I was there last April?!?! I was probably too excited to get on Lightning Rod. Anyway, a huge B&M would look so good in that park with the terrain! @Aaron Smith kind of like this? Hutch, Youngster Joey, GuyWithAStick and 4 others like this. Let me clarify... a huge B&M like Fury would look great in that park with the terrain. Aww, that's a shame, was a fun attraction. Dollywood seem to know what they're doing when choosing new attractions, so I'm excited to see what is planned for that site. So long as they're not choosing topple towers, climbing ropes courses, and river battle rides - yes they know how to pick a lasting ride! But you are right @peep, Dollywood has been making large, quick moves in changing the park landscape - it is already a far cry from the park I originally visited in 2010; 4 new coasters (2 as family), an S&S Screamin' Swing, and the new 5 acre kiddie area have already adapted the park as a modern amusement park that can swing with many. Ah right, thanks @DelPiero! I could definitely see something reasonably large going on the site, then! It's actually kind of incredible how much land this park still has. Wildwood Grove only takes up about 3/4 of the total train loop behind Thunderhead and there's another loop that hasn't been cleared yet. CrashCoaster and Matt N like this. Pete said at ACE Winter Warm-Up that there is indeed a Phase II coming to Wildwood Grove. He didn't say anything else about it and proceeded to change the subject. But he did tell me that "We are doing something in 2021" when I asked about the next thrilling expansion at Dollywood. Matt N and Aaron Smith like this. Weren't there rumors of a B&M hyper being part of a phase 2 expansion of Wildwood Grove? Am I imagining (of wishing for) that? You mean 1/3rd. Wildwood Grove hardly taps into the available space back there. It's pretty insane to think about. 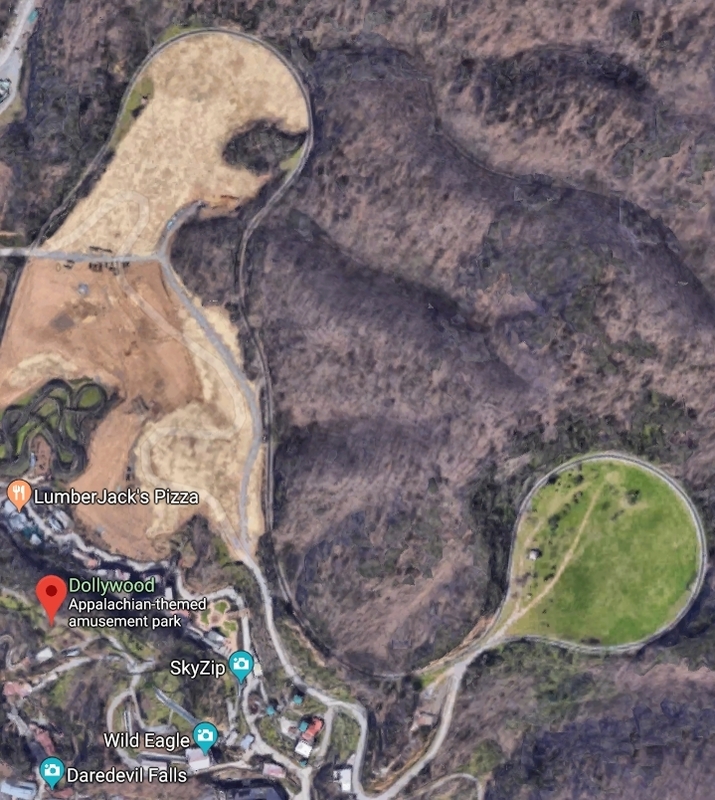 I believe I read that Dollywood cleared about 20 acres and Wildwood grove takes up about 7. (don't quote me) So they do have a lot more land to work with. Along with a lot of people,I have always had the speculation that the second phase of Wildwood grove would include a Mack multi launch. If that is the case, then I see a flat or two being installed where the landing is for Slidewinder. That part of the park could use a few more flats. That would make logical sense. However, we know that Dollywood tends to push the envelope when it comes to coasters. Before Wildwood Grove was announced, I always said that hillside behind Showstreet would make a great location for a terrain Mack or Intamin. Picture a terrain Maverick. Slidewinder would make a great location for a station. Kw6sTheater and Matt N like this. I always said that hillside behind Showstreet would make a great location for a terrain Mack or Intamin. Picture a terrain Maverick. Slidewinder would make a great location for a station. I second this!! A heavily inclined launch going up the hillside would be amazing for both the scenic views and unique coaster experience!